Throughout his career, Mr. Amato has planned, conducted and supervised hundreds of investigations of complex, large scale wildlife trafficking cases addressing issues such as the black market trade in sturgeon roe (caviar) from the Caspian sea to organized large scale smuggling of elephant ivory and rhino horn through the Port of New York. Mr. Amato served as the Head of the U.S. Fish and Wildlife Service’s Intelligence Unit which undertook comprehensive research projects designed to quantify and assess the United States’ role in global wildlife trade. His assignments have included management and direction of the Service’s Branch of special operation responsible for long-term undercover law enforcement operations, as well as management of the Service’s Northeast region which includes oversight of the import/export operations at the Port of New York, the largest port of entry for wildlife in the United States. He has served as a member of the INTERPOL Wildlife Crimes Working Group, and the North American Wildlife Enforcement Group (NAWEG). As recognized expert in the field of law enforcement, Mr. Amato has given presentations and provided training to international audiences at INTERPOL and NAWEG meetings. He has provided training to wildlife and customs officials in Africa, Europe, Asia and North America. 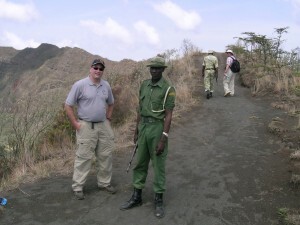 Domestic and international environmental and wildlife investigation and enforcement, including covert operations and techniques. Environmental and Wildlife Crime research and analysis. Strategic planning, including program monitoring and assessment. Working across international borders to address threats to wildlife, including international collaboration, intelligence sharing, training and capacity building. National or program level assessments of a countries or agencies ability and effectiveness in addressing environmental and wildlife crimes. Advise brokers and trade companies of the import/export requirements for shipments containing wildlife including parts or products. Advise auction houses and retailers of the requirements for the sale of certain wildlife including parts or products.